What is your perspective on winemaking? I have been producing our Reserva and Gran Reserva wines with elegance, balance and great aging potential in the same style that was introduced by CVNE’s founders 138 years ago. 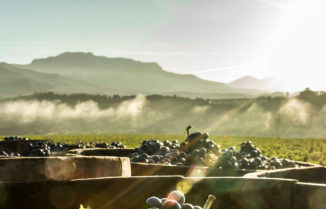 However, our wines have evolved with the help of innovations allowing us to more accurately analyze our farming practices and winemaking techniques. For example, our vineyards traditionally head-pruned but now are combined with trained in rows on wires. Through most of the 20th century, all of our barrels were made of American oak. Today, our wines are bottled earlier and about 30 percent of our barrel stock is French Oak. 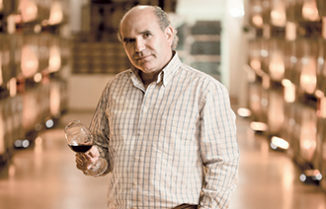 Producing a truly excellent wine is not a question of fads, but of strict quality standards. CVNE, by definition, is a traditional winery because we are rooted in history and continue to do things as they were done in the past, but we also embrace innovation and technology if it allows us to make better wines. 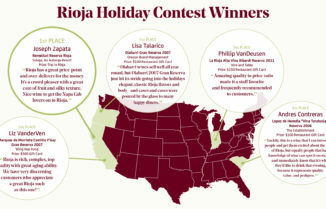 What did it mean to have the first #1 Spanish wine in the Wine Spectator? What was the process that went into making that wine, what was unique about it, and/or did you know you had an extra special product on your hands immediately? Every wine I produce is unique and must be a #1. The Wine Spectator #1 Wine of the Year Award for Imperial Gran Reserva 2004 validated this. 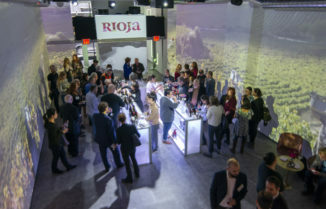 I like to believe the award is not just for a vintage but for a brand with more than 90 years of history, its aging capacity and recognition for the potential of the great wine region of Rioja. It was truly a great honor and totally unexpected for Imperial Gran Reserva 2004 to be awarded Wine Spectator’s #1 Wine of the Year, because CVNE was the first Spanish winery ever to be chosen as number one and to date we remain the only Spanish winery to be awarded #1 Wine of the year. What else about your profession are you passionate about? On a day to day basis, I consider myself hugely privileged to be surrounded by nature. I am so very grateful. Nature is something I am truly passionate about. I love walking and discovering the small corners of Rioja and her hidden gems. There are pockets of abandoned vineyards all over Spain that were farmed centuries ago. I love traveling to, and tasting wines from other regions, and appreciating how each region owns its uniqueness and how different soils and climates affect the character of the wines. It always keeps things interesting and provides opportunity for learning. Maria Larrea was born and raised in Rioja in a family originally from the village of Elciego, and with a long vine-growing and winemaking tradition. She spent the first years of her life in Elciego, where the culture of wine is in everyday life. The influence of these years pointed her towards doing Vinegrowing and Enology at University, first in Madrid, and later on in Montpellier and Bordeaux. Her first harvest once back in Rioja was in CVNE in 1990, and after gathering further experience in other wineries in Rioja, Mancha and Navarra, she returned to CVNE where she currently holds the position of Technical Director.